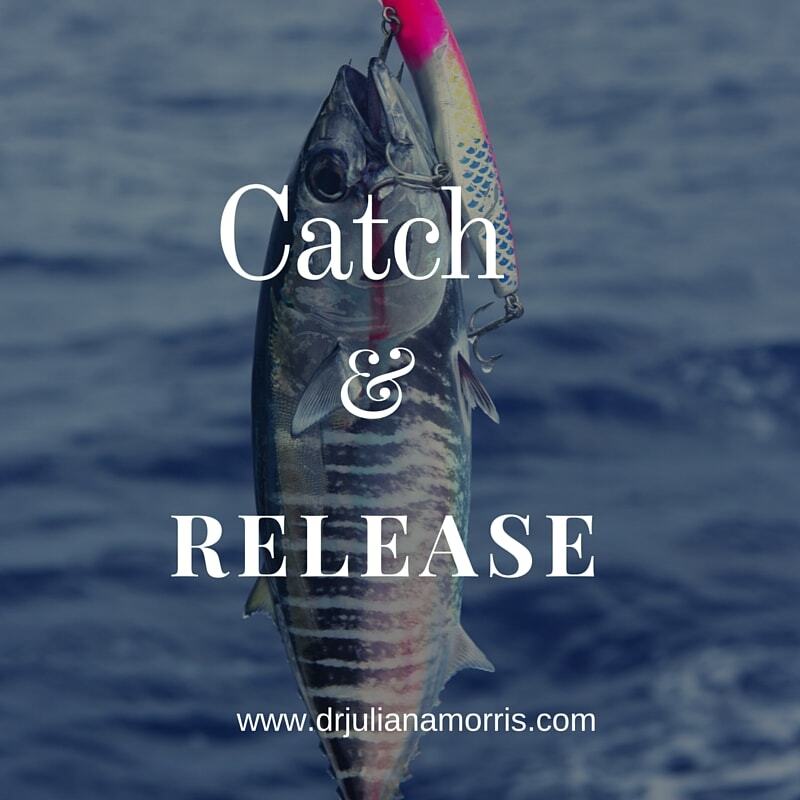 I am thrilled to see the response to my Catch and Release series. Thank you so much for your interest, support and responses. 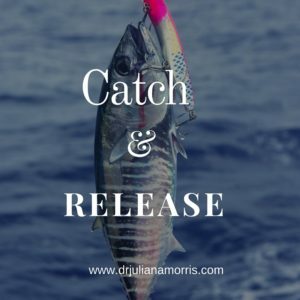 Another exciting update is that ‘Catch and Release’ stories from the you, the readers, have started rolling in! I love it! 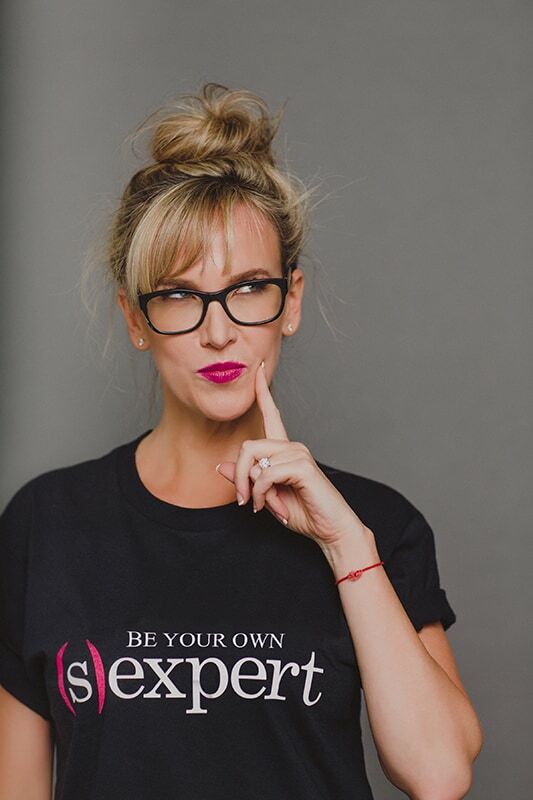 I can’t tell you how excited I am to read these and share them with you!If you are interested in sharing a story of yours, click on the below link and fill out the short questions. Here is the first C & R story written by a reader! Enjoy! At the age of thirty something, one should be enlightened enough to know that getting mixed up with a rocker ten years your junior was cliché at best and pathetic at worst. But there he was, long blond hair flowing, leather jacket, the hipster sneakers worn to the “sweet spot” of cool and those jeans …. I’ll stop there. It was just before dawn on a tiny commuter plane and the rising sun gave me the perfect excuse to move to the seat next to him. I acted nonchalant but was warm and friendly as I introduced myself. We exchanged pleasantries and he revealed that he was a graphic designer by day and a musician by night, the lead singer in an indie band that played in the local bars. I gave him my number with the ruse that I wanted to come hear them play. He called shortly after he returned from his trip….ah, the days before cell phones …and confidently called my bluff, (how does one explain the bravado of a young man?) knowing full well my interest in him was romantic not musical. Our romance was delightfully unconventional… we acted out scenes from movies, harmonized to old show tunes and obscure songs, had picnics on the living room floor and did art projects on my deck. He was kind and funny and loving and attentive. It was invigorating and interesting and tweaked a part of me that that was so bored with the prepster types I had been dating. But I knew as I stood watching him perform surrounded by his 20-something friends that this wasn’t forever or even for very long. I had this moment of stepping outside myself and seeing the scene I was in. I was a 30 something year old professional woman standing at a smoky bar and although this was fun it wasn’t me. This wasn’t my future. It was over. I thought this was all fun and games and terribly mistaken to think that he thought so too. I was ashamed of myself when I realized that this precious sensitive boy -man with exquisite imagination was falling in love with me. And even more ashamed when my beloved therapist scolded me for being so selfish and even went so far as to suggest cruel. As you can imagine it ended badly. I walked away with minor injuries but for him it was a bad car wreck. It was a lesson hard learned….about toying with a tender man’s heart and the perils of inappropriate relationships. I learned I needed to be with someone who was creative AND had a streak of wild but was more appropriate and better suited for me in a broader sense. I learned it was okay to want this and to close relationships that didn’t serve me in this way. But I learned I wanted to close these relationships in a more compassionate and purposeful manner. I wanted to get a clearer picture of who was right for me. I got closer to understanding the kind of man who would fulfill me because of this relationship. I wanted a responsible guy with a stable career, interesting goals and a spiritual guidance but also is fun,outdoorsy and free spirited. This relationship has stayed with me over the years. A hard part of the relationship was recognizing the part of me that was capable of toying with someone’s heart. I would never have identified as a woman who would treat someone as I did him back then. I wasn’t careful with his feelings and didn’t notice he had deeper feelings for me than I desired or had for him. I am a caring woman and this was behavior I didn’t identify with as ‘me’. I saw a different side of myself and knew I didn’t want to be like that again. I’ve wanted to reach out to him all these years later and apologize and acknowledge how I acted but haven’t done it to date and not sure if it is something that would benefit either of us. After a lot of face on the pavement, I can see now that I am finally the woman who will attract the man that I want. That is a powerful and exciting place to be. I can relate to this story on multiple levels! I had a relationship my last year of high school where I treated him in a similar way as she describes. Not the rocker part but how I treated him is similar. Once I realized he wasn’t my future, I bolted. Without care for his heart. Ugh. When I think about it, my stomach turns feeling so terrible that I wasn’t careful with his dear spirit. Over the years, I’ve thought about reaching out to him to apologize but it never felt right to do. I didn’t know if he actually was as hurt as I thought he was and wondered if it would be weird for him to hear from me 20 years later, I didn’t know if he had horrible thoughts about me and never wanted to hear from me again or wondered if he’d even remember who I was…. But then again, there are a few fellows out there that I would appreciate getting an out- of –the- blue apology from and if they said accountable and compassionate things may help explain or heal a few old wounds so who knows? (hear all those qualifications?) ‘Words of appreciation ‘is my love language but it isn’t everyone’s so maybe the words would fall flat for my guy. Gosh, now that I think of it, there are a couple more who I could apologize too…..I’m going to sit with that for awhile. Have you ever treated someone like this and wanted to apologize years later? If so, did you reach out and how did it go? If you didn’t, what went into that decision? I can also relate to the ‘bad boy-rocker thing’. I think most of us have dated that ‘bad boy or girl’ or wants to experience that ‘bad boy/girl guy’ or barely dodged that bullet at some point. Being with someone like that was freeing for myself. It was fun. Part of it was an escape. An exploration. I liked that his lifestyle gave me room to explore that part of me-wild, free flowing, carefree. I had a long term relationship with a rocker and it was much deeper and meaningful than that but I also had a few dalliances with some ‘bad boys’. Boy were they fun. But they had a cost to them. This ‘cost’ is something I will explore in future C & Rs because it is such an important element to examine while in the dating world. Would love your thoughts now on what you see as the ‘cost’ in relationships/experiences like this. My biggest ‘boom’ moment with this story is “I can see now that I am finally the woman who will attract the man that I want.”. Can I get a ‘hell yes’???? SO powerful I teared up. I’m not sure of your dating situation now dear C & R contributor but I know with THAT kind of insight, the person you are wanting to attract will be coming to you in the right time. Yes, yes and yes! It took me a whole lot of ‘face on the pavement’ moments too to have clarity and certainty to get to that place as well and I celebrate each ‘mistake’ and ‘failed’ relationship because they weren’t mistakes or failures at all-they shaped me, educated me and pushed me into a deeper, more meaningful woman who was finally ready to stand with confidence of who I am-the good and the bad-and to be a whole person who WANTED a companion to share my life with but didn’t NEED someone to complete me or heal me. I also knew I would never find the partner I wanted if I was actually that kind of person myself. Powerful, powerful insight.